For first responders, such as firefighters, police officers and emergency medical technicians, a successful outcome to a mission—and perhaps the difference between life and death for them and those they are helping—depends on their communications system. 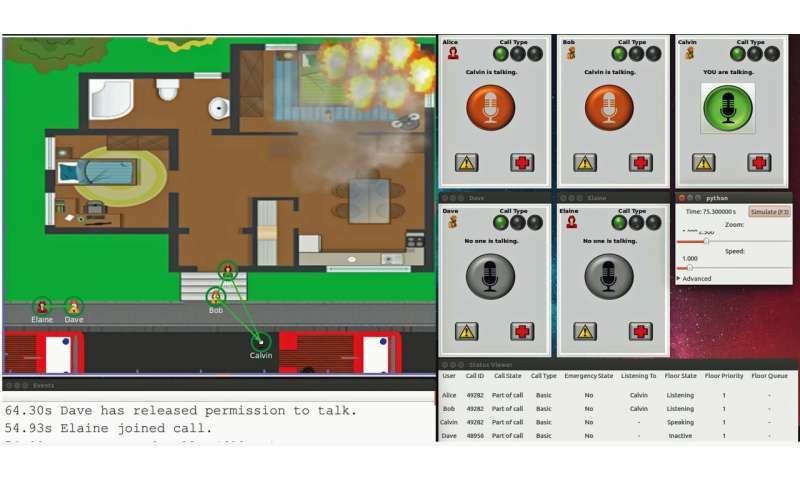 Recognizing this critical need, first responders and emergency management officials have been calling for high-speed, LTE (Long-Term Evolution) cellular devices with three public safety "mission-critical voice" capabilities: "push-to-talk" for an immediate connection, "one-to-many" allowing an individual to broadcast to a large group, and "direct mode" that maintains a walkie-talkie connection when a wireless network is down, blocked or otherwise unavailable. To make this technology work effectively and ensure consistent product quality, the experts have already started developing standards. There's just one catch: a device that employs all of these desired features doesn't yet exist. And without a working device to scientifically evaluate in different emergency situations, it hasn't been easy to design the standards that will optimize its performance. The use of protocol emergency buttons: how effective are these functions that give first responders the ability to break through ongoing communications to request immediate assistance for victims or themselves. A graphical user interface (GUI) can be used with the NIST tool so that results from the models can be viewed as animations. "We hope that the new modeling tool will be widely used by researchers who want to experiment with different ways to optimize the three key mission-critical voice capabilities, by manufacturers who want to 'field test' device designs without having to build multiple versions, and by emergency management officials who want to educate first responders under their command about the advantages of LTE communications in hazardous situations," said Richard Rouil, a computer engineer in NIST's Communications Technology Laboratory (CTL) who helped create the tool. 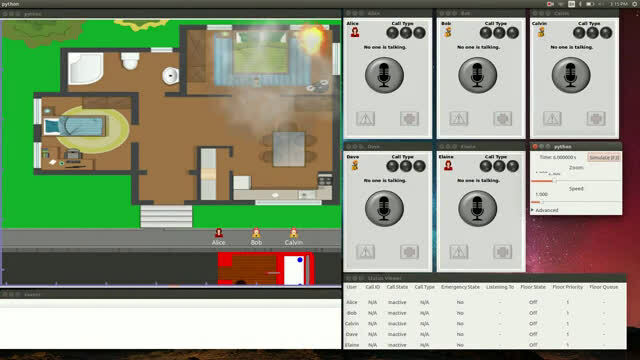 "Most importantly, the tool makes it possible to develop, test and refine standards for the next generation of emergency response communications devices concurrently with, rather than after their development." According to Rouil, a collaborative effort with the University of Washington will work toward integrating the NIST module directly into the ns-3 software to enable expansion of the tool's modeling capabilities. Funding for this project comes from a NIST grant awarded in June 2017 to the University of Washington as part of the Public Safety Innovation Accelerator Program, a technology advancement effort for public safety communications that also is funding the development of the LTE modeling tool. The Innovation Accelerator Program, managed by NIST CTL's Public Safety Communications Research (PSCR) Division, provides research, development, testing and evaluation of broadband communications technologies to foster nationwide interoperability among first responders. A recent NIST paper provides information on the implementation and validation of the model. The NIST LTE Device-to-Device Communication Model for ns-3 is available for downloading, as is the free ns-3 software.